DELTA – Ted and Denise Howard of Delta announce the engagement of their son Jason Howard to Gina Snyder, daughter of Karen Snyder of Delta. Gina is the daughter of the late Roger Snyder. Jason is a 2004 graduate of Pike-Delta-York High School and is employed by Kokosing Construction. He is also in a partnership with Mull Brother farms. Gina is a 2004 graduate of Evergreen High School and Bowling Green State University. She earned her Bachelor of Science degree in early childhood education. She is currently employed as a kindergarten teacher at Horizon Science Academy – Springfield. 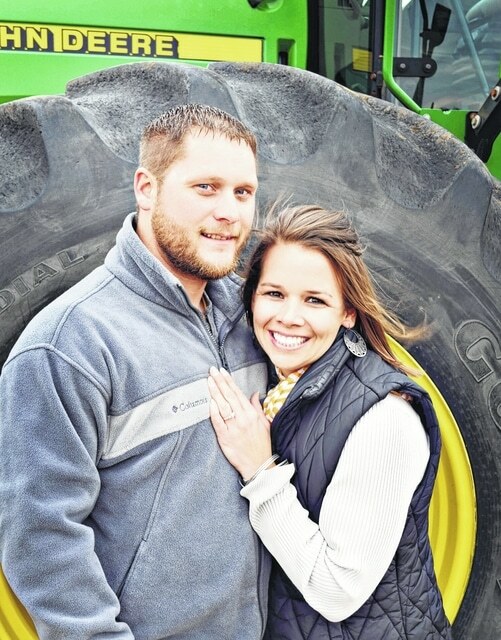 The couple is to be married on Saturday, July 4 in a wheat field on the Roger Snyder Family Farm, with a reception to follow at the Fulton County Fairgrounds.